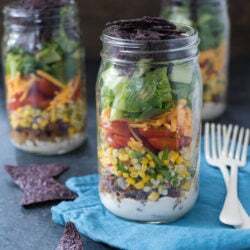 Taco Salad Wonton Cups – My love for wonton cups should be abundantly clear if you’ve been reading this blog for awhile. I believe that basically anything can be shoved into these portable and edible little bowls. 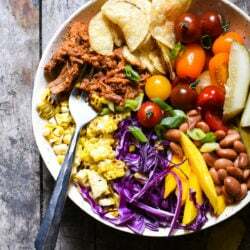 I went the taco salad route this time, with layers of refried beans, cooked ground beef with taco seasoning, shredded cheddar cheese, lettuce, tomato, avocado and black olives. These seemed to be a hit. 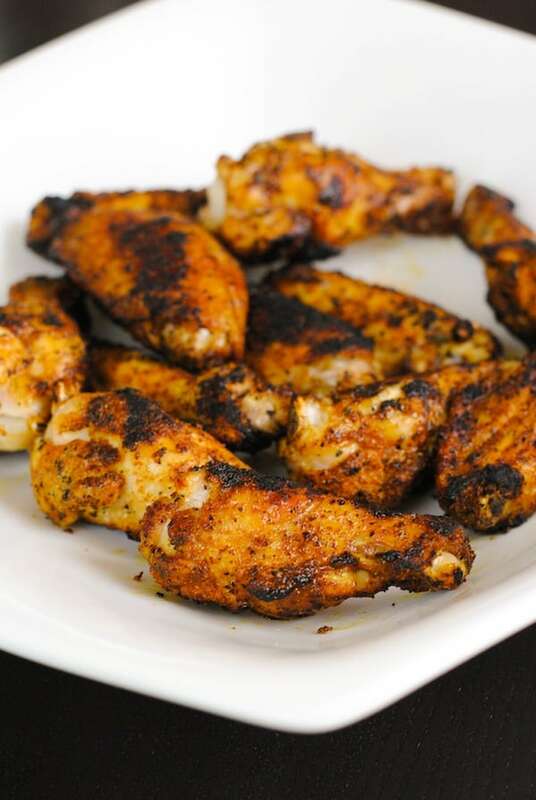 Shawarma-Spiced Grilled Chicken Wings – I had picked up a shawarma spice mix at North Market on my trip to Columbus, and I’d been just waiting to use it for something. I sprinkled the wings with the spices the night before the party and refrigerated them in storage bags. Right before the party started, I had Jeff use a grill basket to cook them on the grill. These ended up not being very popular (or maybe I just made too many), as there were quite a few of these left at the end of appetizer time. Maybe people just didn’t want to make a mess of themselves eating chicken wings. Can’t say I really blame them, so I took note of this for future parties. 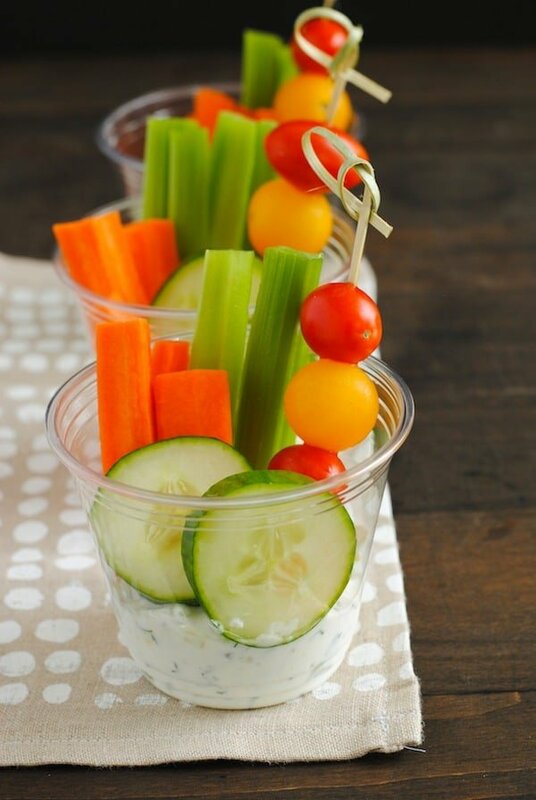 Veggies & Dip Cups – I’d seen similar cups on Pinterest and thought they were so adorable that I’d give them a try. The thing I love most is that even if you just buy a container of store-bought dip and some sliced veggies, once you arrange them in little cups like this, everybody is super impressed by their cuteness. 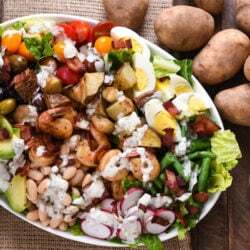 I made my own cucumber yogurt dip using this recipe, and saved money by peeling and slicing all the veggies myself instead of buying them pre-cut. 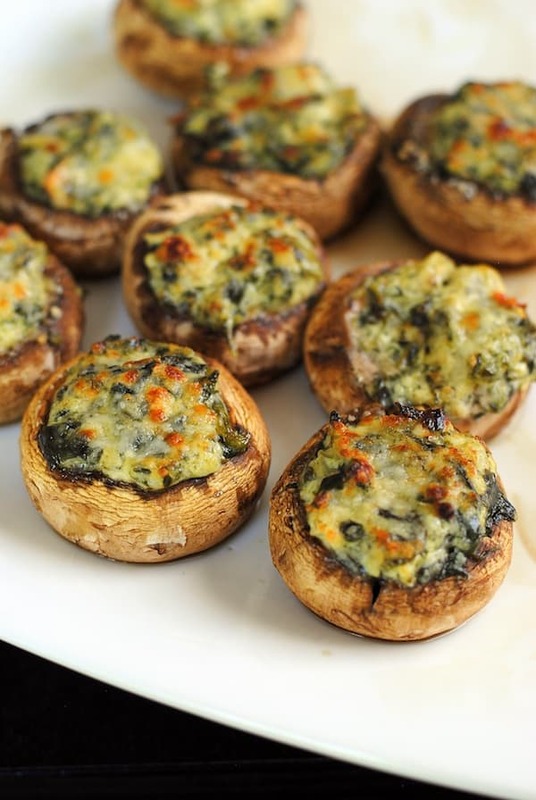 Spinach & Artichoke Stuffed Mushrooms – These were the most popular appetizer I made for last year’s party by far, as they disappeared almost instantly, so it seemed like a safe bet to just go ahead and make them again. To prepare these, you just need to clean and snap the stems out of button mushrooms. You place them on a rimmed baking pan and fill them with spinach-artichoke dip (I use store-bought to keep it super easy), then sprinkle them with a little Parmesan cheese. Bake at 350 degrees F for about 15 minutes and you’re in business. Seriously, people love these, and they are so little work! Win win. I know it’s hard to believe that people were still hungry after all these snacks, but come back tomorrow to find out what I served for dinner! Hmmmm, maybe leaving a bowl of wet naps next to the wings would have encouraged more takers? Next year! My personal favorite was the wings – great idea with the simple dusting of shwarma spice! 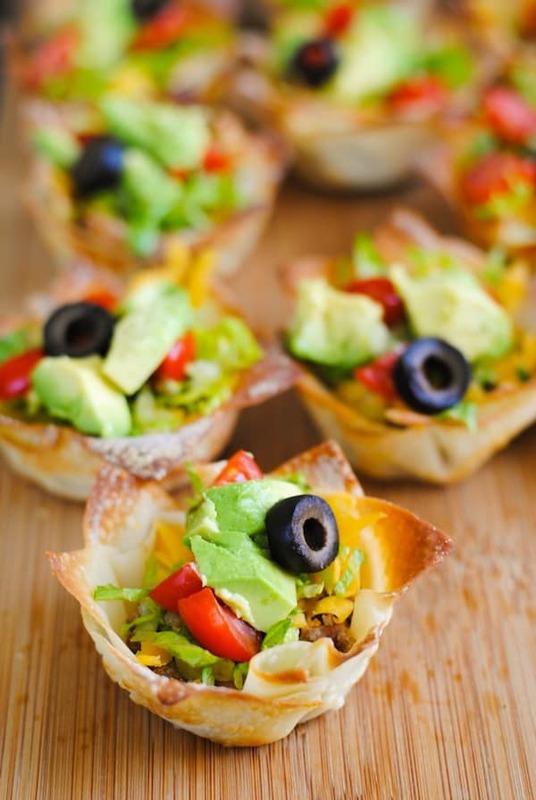 The crowd favorite had to be either the taco salad wonton cups or the stuffed mushrooms. All of the appetizers went over really well and created a wonderful “base” for the sangria intake. Where did you find those perfect skewers for the tomatoes?